Have you ever thought you’d like to make more healthy vegetarian meals or easy meatless meals but just didn’t know where to start? Changing up your diet to include a meatless menu once or twice a week can be healthy and help you stay slim, as long as it still includes ample protein for building strong muscles. 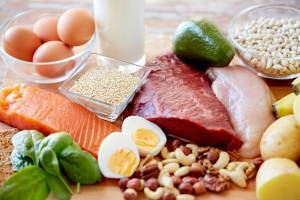 Plenty of protein is especially important for growing bodies and for people who work out a lot or who are trying to bulk up a bit. Leaving meat off the menu once in awhile allows plenty of plate space for healthy vegetables and leaner plant-based proteins. Let me point out though that not all vegetarian dish ideas are necessarily leaner or healthier than meat-based meals. This is especially true if you are simply replacing lean meat or fish on the menu with high-fat cheese dishes. The key to creating vegetarian meals for meat lovers that are just as healthy or healthier than meat-base meals is to choose your ingredients wisely. The best (and healthiest) vegetarian meals include simple, fresh ingredients that are naturally high in protein. This includes seeds, beans, soybeans and edemame, some whole grains and nuts. It may also include some dairy and eggs. I wouldn’t recommend substituting lean meats with processed soy products that are made to look and taste like meat because they are very highly processed and may contain a lot of sodium and artificial flavors and colors. But fermented soy products like tofu and tempeh can be healthy substitutions once in awhile. Soy products in moderation is best, as some research suggests that too much soy may not good for your thyroid, especially if you may be low in iodine, as many Americans are. So where do you start when your trying to make meatless meals for meat eaters? You can start by trying these 3 quick meatless meals. The first one, Simple Portabello Mushroom Fajitas utilizes fresh mushrooms, which provide the umami taste that meat eaters often enjoy. Optimize your protein content by adding a corn and bean relish and use whole-grain tortillas. The second recipe, Quinoa Caprese Salad, full of flavor with tomatoes, basil and fresh mozzarella would be a great main dish for a hot summer day. It features quinoa, which is gluten-free and naturally high in protein. Quinoa also provides fiber, magnesium, B-vitamins, iron, potassium, calcium, phosphorus, and vitamin E.
The third recipe, bibimbap, is a staple vegetarian meal that I fell in love with while visiting South Korea. This delicious rice bowl with colorful julienned vegetables is topped with a raw egg that is cooked once you stir it into the hot stone bowl to mix the rice with the vegetables. 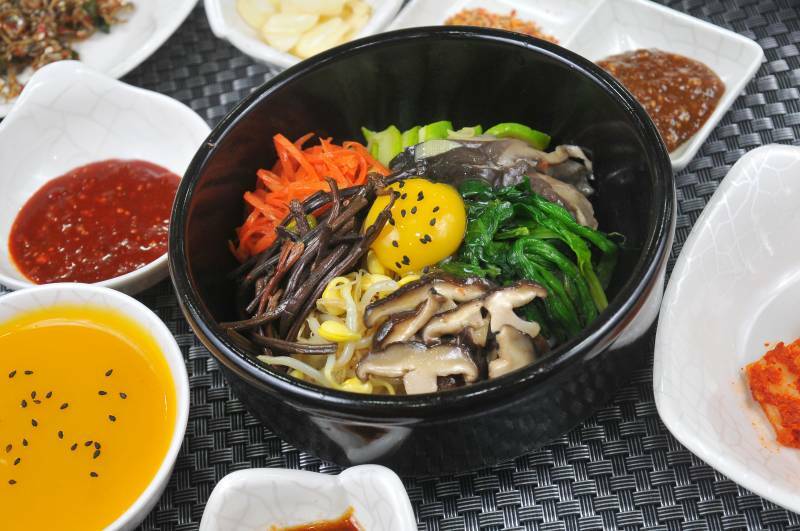 You can purchase bibimbap stone bowls online, or you can simply make the same mix of veggies and rice with a scrambled or over-easy egg on top. 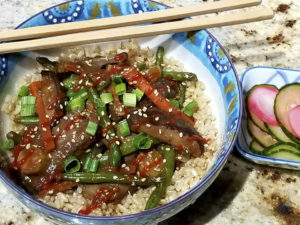 And last but not least, the plus in 3+, is a bonus recipe that I have featured before in another article, but it is still one of my favorite meatless main dishes. So I am throwing it in and I’m hoping you will try it this fall when the acorn squash and apples are ripe at your local farmer’s market! So go ahead and get cooking so you can try out these 3+ great meatless meal ideas. Toppings of choice such as sour cream, cheese, tomatoes and guacamole. Slice mushrooms, peppers and onions into thin slices. Mushrooms can be left slightly thicker to avoid breaking. Heat olive oil in a large skillet over medium heat; sauté onions and peppers for about 2 minutes. Add mushrooms and sprinkle with taco seasoning. Cook about 6 minutes more or until softened to your liking, then sprinkle with lime juice. Heat tortillas for about 10-20 seconds in microwave, then fill each tortilla with fajita mix and top as desired. In a saucepan, cook quinoa according to package directions; set aside until cool. In a large bowl, combine cooled quinoa with tomatoes, basil and mozzarella. Stir in vinegar and oil; season with salt and pepper. Serve chilled. *Mozzarella pearls or “perline” means tiny balls. Cubed fresh mozzarella works equally well. Julienned vegetables should be cut into matchstick sized pieces. Sauté vegetables, except bean sprouts and cucumbers, separately in a large frying pan, seasoning as desired with the oil, soy sauce and seasonings. Be creative with flavor combinations while cooking the vegetables, even adding a little brown sugar to some, if desired. Place rice in the center of very hot bibimbap bowls, dividing evenly between two bowls. Place small mounds of cooked vegetable and uncooked cucumber and sprouts around the rice, creating an artistic masterpiece. Place one uncooked egg on top of each bowl and serve while still piping hot. Each diner should stir the bowls well right away to mix the egg in and cook it. Top with kimchi or chili sauce as desired and enjoy! In a medium bowl stir apples, brown sugar, butter and cinnamon to coat. Place squash cut-side up, in an 8 x 8-inch microwave safe baking dish. Fill each squash with half of the apple mixture. Cover loosely with plastic wrap and microwave on high for 10 to 20 minutes, or until the squash and apples are soft. Top with pecans and serve. Jennifer M Wood, MS, RDN is registered dietitian nutritionist and successful food and nutrition consultant in Southeastern Minnesota. 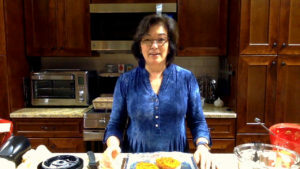 As the founder of a nation-wide gourmet food company, Wood wrote Jenny’s Country Kitchen…recipes for making homemade a little easier! (2003), which is a timeless collection of make-ahead, freeze-ahead and pantry-stocking recipes and time saving tips to help busy families put nutritious food on table. Wood graduated with a pre-med bachelors degree in nutritional science in 2001, completed her dietetic internship in 2007 and went on to complete a master’s degree in food and nutrition in 2011. Can You Exercise With Anemia? Total Gym Challenge: "The Workouts"